Who would have thought in just a few just months that I would like, actually enjoy sewing curves?! Not me! 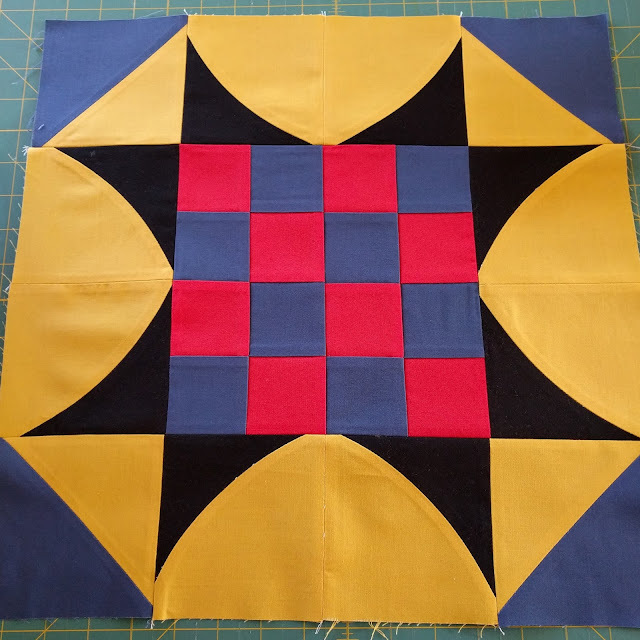 In October I joined my local quilt shop (Stitched Studio) for one of their block of the month programs. 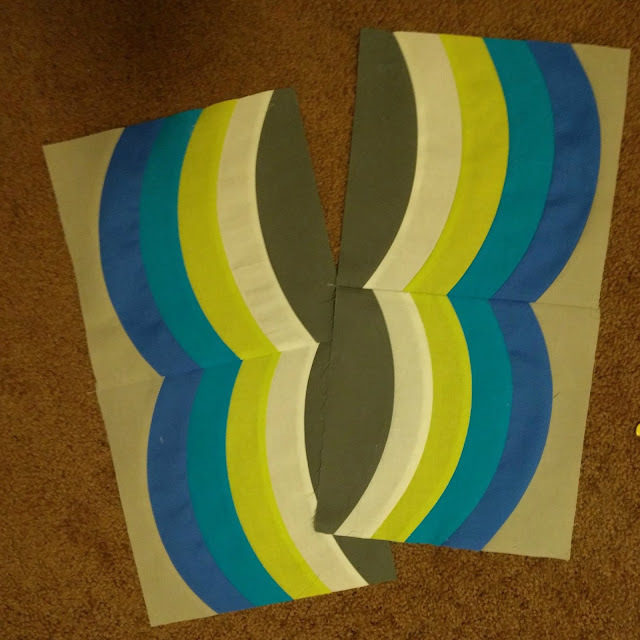 They were offering quite a few and I decided it was time to tackle one of my fears, sewing curves! So I joined the Curve it Up BOM, using the Quick Curve Ruler from Sew Kind of Wonderful. So far we have completed the first four blocks and it is getting easier to navigate those curves. 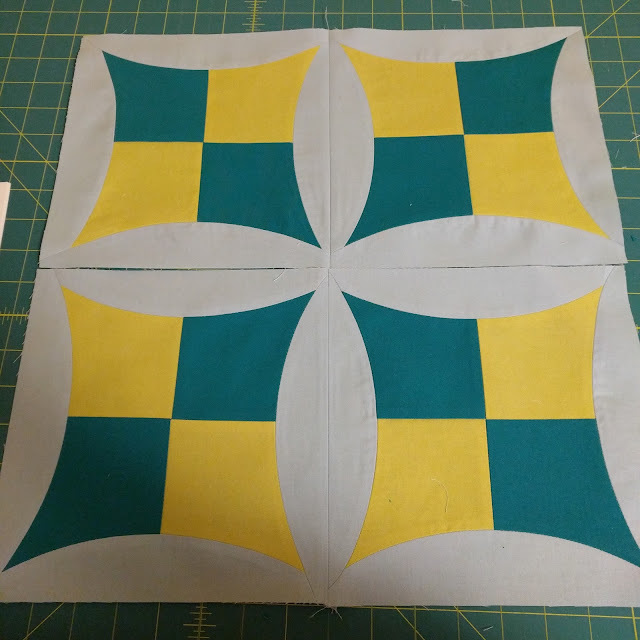 I have enjoyed sewing curves so much that I purchased their QCR Mini and started playing around with the mini patterns. I purchased some Cotton+Steel Spellbound last fall and never got around to sewing with it. So when I needed some fabric to test out my QCR Mini ruler I thought this would be a great way to make some new pillows for my fall/Halloween decor. 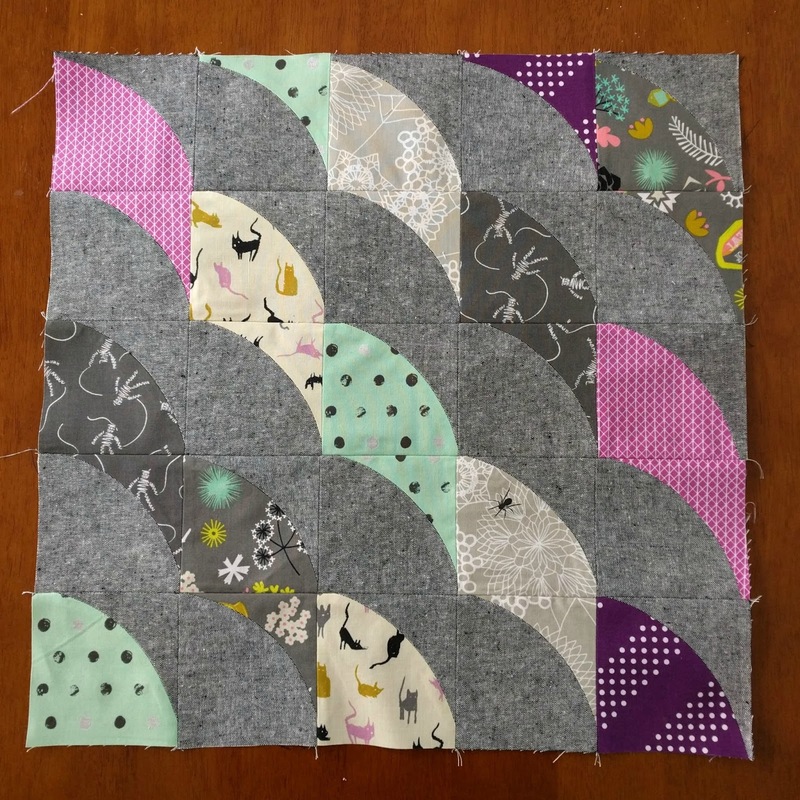 I love the different combinations you can come up with just a basic curved block. 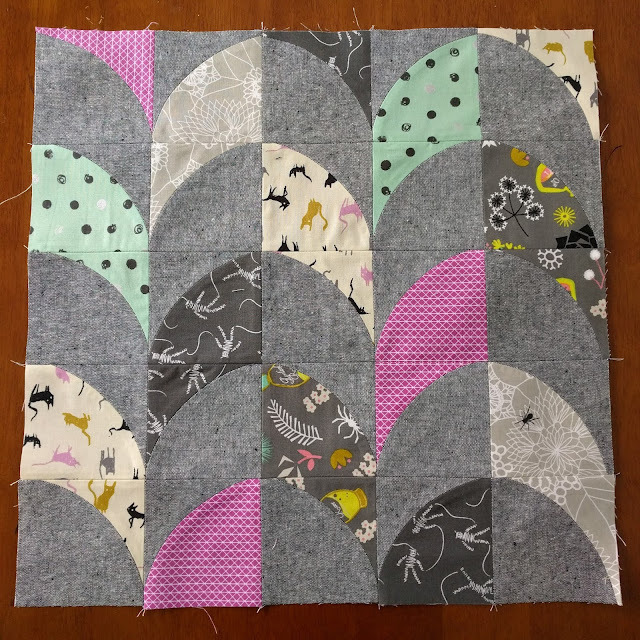 Next on my curved sewing list is lap quilt with my Lizzy House stash! Your curves look beautifully done! How fun are these?! Love the curves and good for you learning an new technique!! It sounds about like what happened to me with paper piecing... I tried it out and now I just can't stop! 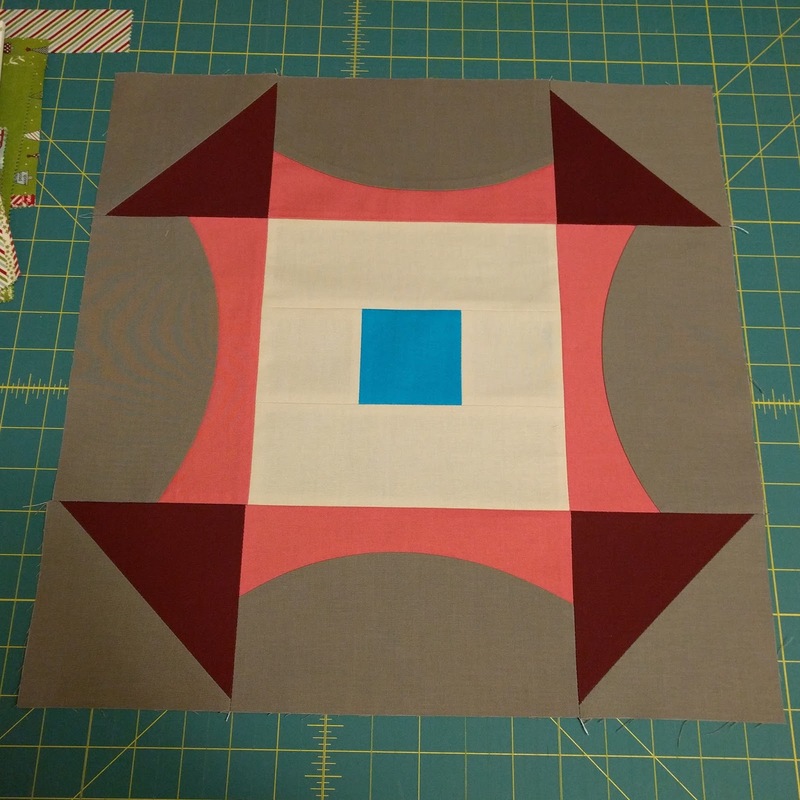 I'm just mesmerized by your first block... what a great design. I think there is so much hype about curved piecing, but when you know a few tricks, it's not as bad as its reputation. So fun and you are doing great. I just finished a QC piece from their new book. I love curves now too. Wow your curves are awesome - I think I need to work on this series. Wow! I absolutely love the mixture of curves and straight. It is a simple creative idea that never would have occurred to me. ooo, I think I'm gonna have to get me one of these rulers! Your blocks are gorgeous, and very inspiring! Thank you!